Write an Ebook - Can You Possibly Write an Ebook While Working a Full-Time 40-Hour Or More Job? I bet you want a relaxing, fun-filled life that comes with being financially free? Am I right? Of course I am because we all want the kind of lifestyle that we see millionaires living. Likely that you are struggling through a 9 to 5 job, 5 days a week. You are working 40 hours a week or more. And I am guessing it is a job you are not particularly fond of, but that can all change the moment you decide to create your very own ebook publishing business. 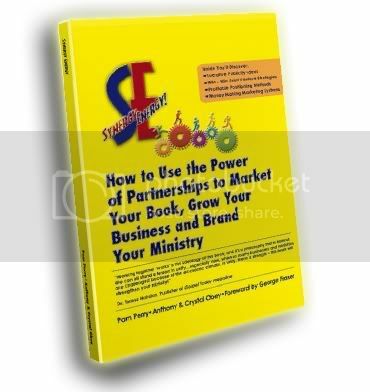 The first step in the process is to write an ebook and sell it to the public. Now if you have a job, you might be a little pressed for time, but do not let that be your excuse. I held down a full-time job and found the time to write, publish and profit from over 40 ebooks. In short, having a full-time job does not mean that you cannot write an ebook. I know it might seem like a challenge to juggle your day job and still find the time to write, publish and profit from your ebook, but it can be done. I know, because I have done it over 40-plus times. But enough about me, we need to talk about how you can find the time to write your own profitable ebooks. If you can spare an hour a night after work and a few more on the weekends, then you have the time needed to write a profitable ebook and many, many more. Weekends Are For Resting, Right? Look, if you are serious about building your ebook publishing business that will generate online cash on autopilot, then you need to sacrifice an hour or two on the weekends to write. The key to success is to carve out time beforehand and designate it as your writing time. Once you are done with your writing, you are done. Now you can enjoy the rest of the day and do whatever you want. Try it and you will see that there really is no sacrifice, especially when you follow a proven plan or blueprint to get your ebook written quickly. Not Keen About Writing During the Week? If you want to just work during the week and come home to a dinner with the family without the pressure of writing, there is no problem there. Just make up the time on the weekends. It has been proven that you only need about 12 hours total to write an ebook if you are constantly writing. If you write 3 hours ever weekend, you will be done in a month. Not bad at all. Kill Your TV - Record your favorite shows or stop watching some shows. Wake Up Earlier - Just 30 to 60 minutes earlier a day and you can have your ebook written in 12 to 24 days from now. Unplug the Internet- The internet is one of the greatest time-wasters of all time (after the TV of course). Disable your wireless connection and unplug your LAN line. Now go and write. Those are just three top ways to find the time to write. I am sure you can find more time wasters during your day. I hope so, because the moment you get started down the path of creating ebooks and selling them on autopilot, your life will be changed forever. Checks in your name will be cut every two weeks and sent to you whether you work that day or not. That is the ebook publishing lifestyle and I hope you live it as soon as possible. So, do you think you can write an ebook in your spare time? I know that you can. The first step to writing an ebook is deciding to do it...today! You'll receive 3 additional reports to help you write an ebook in less than 12 hours. By now, you may have heard that Twitter's 6.1 million unique monthly visitors make it the third most popular social network, compared to Facebook's 78.5 million users and MySpace's 65.7 million users, according to Quantcast. But as more authors, publishers, booksellers, retailers and book reviewers log on to use Twitter as a promotional and professional tool, there's also plenty of skepticism. Is it worth the time commitment involved? What benefits have industry users found? To answer these questions, PW attended last month's O'Reilly's Tools of Change conference, talked with early adopters and plunged directly into the Twitter experience (follow PW at www.twitter.com/publisherswkly). from Evangelist Minetta Hare yesterday at Family Victory Church. because she was a true trail blazer. God's Harvest Field, the World! Free Teleseminar "How to Blog for Book Success" with the latest information on blogging and how to use it and how to avoid making many common mistakes. "Those that show up, go up!" Fw: Twittering Yet? Follow Pam Perry and her favorite Twitters..
Subject: Twittering Yet? Follow Me and my favorite Twitters.. If you haven't crossed over into the twittering world - um, tweeting world - then you'll be surprised at how much you can accomplish. Sign up for a free account and add me to your follow list. Tweet me and I'll tweet you. and find out what I'm talking about! Twitter is a service for friends, family, and co-workers to communicate and stay connected through the exchange of quick, frequent answers to one simple question: What are you doing? 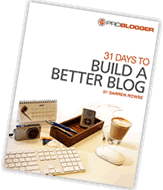 Bloggers can use it as a mini-blogging tool. Developers can use the API to make Twitter tools of their own. Possibilities are endless! Tell us what you're doing in 140 characters or less! Send your thoughts, observations, and goings-on in your day. Whether you're "eating an apple" or "looking foward to the weekend" or "Heading out of town" it's twitter-worthy. Join us here. All of your personal information including your phone number is, of course, confidential. Do I need anything special to use Twitter? Mobile Marketing in a social network environment, spreads messages and promotions like wildfire. TeleSeminar on Monday, March 30. It's a PR Tool Kit in a BOX! 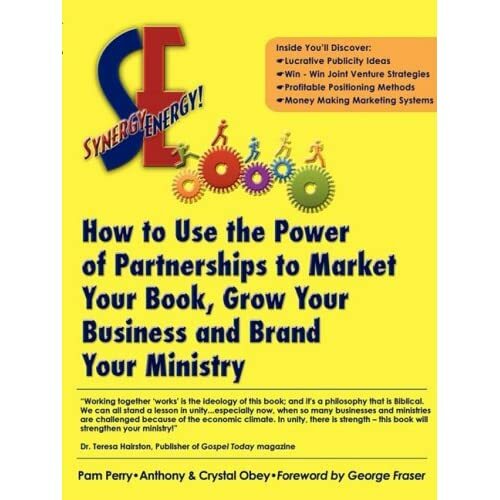 This email was sent to yexsenia2@yahoo.com by info@ministrymarketingsolutions.com. Is publishing ready for the digital age?...Today on Blogtalk 3pm EST! Is publishing ready for the digital age? , digital publisher, and mother Sylvia Hubbard, discusses with host, Anjuelle Floyd, the advances, challenges and freedoms digital publishing offers and presents authors, readers, and the publishing world. author of "KEEPER OF SECRETS…TRANSLATIONS of an INCIDENT"
Imagination is the key to freedom. The artist's job is to cultivate and nurture her or his imagination, and that of others. for my show--Book Talk, Creativity & Family Matters. Send me the name and pdf/cover of any book you'd like me to display on my blog talk radio show header. Also include a a list of your titles and anything else you'd like me to mention when introducing you. It would be 3pm EDT and Noon for me. I will schedule you for Saturday, March 28, 2009 @ 3pm EDT. And feel free to invite members of your other sites anyone else to call in and join us. I'll schedule the show now and send you an announcement. I'll call you sometime next week so we can briefly talk. Is there any best time to call. And send me which number to call you. I'd like to interview you Saturday, March 28, 2009 for my weekly show, Book Talk, Creativity & Family Matters. I'd like to set the time somewhere between 2pm and 4pm CDT. The topic would be my blog post last week. I thought we could invite all the members of the site and have a lively discussion. I am going to also ask an internet PR consultant to join us. The African American Electronic Literary Network is here! I have put together the African-American Electronic Literary Network website and I invite all to come and check it out.. Authors & Readers interested are encouraged to join the network. I'm looking for articles to post on the site about the AA world of electronic publishing. If you are an author, electronic literary service and more I'm requesting contributing articles that I can put on our website. Being that it's a wordpress site there is a guarantee your ratings on googles will shoot up, so it would be beneficial for you to send articles in. Promotions, publishing your work, marketing work, garnering readers and more type of articles are encouraged. Please no press release. If I get these, I'll just post them into the yahoogroup boards and it's feed over to the site in the RSS, which will be posted soon once we get articles. Please send articles to editor at yexsenia2@yahoo.com with subject: ARTICLE QUERY FOR AAELN. Below are pages that consist of various services, contacts and information that concerns this network. Thank you in advance for your support of this new and wonderful literary community. I look forward to having all readers and writers interested in connecting, networking and educating themselves apart enjoying the written word... electronically. And if you want to help support this community finacially, please look into our advertising and promoting options. Inbox too full? Subscribe to the feed version of The Literary World of Sylvia Hubbard in a feed reader. Fw: Everyone Should Have This Tool! It's been some time since we last wrote to you. We have been very busy developing new programs, discovering new tools, attending conferences and continuing to dig online for gold. Send an email to your new contacts. Locate your new contacts on social networking sites such as Facebook, Twitter, LinkedIn. Also, you can join the networks of your contacts. If you do not belong to a social network, join one and invite those individuals you meet to join as well. Visit your new contacts website or blog to learn more about them. Call your new contact and invite them to lunch. Take advantage of the special offers mentioned during the lunch session. Explore options for collaborating with your new contacts. Remember that if you don't have the cash available for a product or service, an opportunity to barter may exist. The key to establishing relationships with a new contact is to follow-up. PS - We're not your typical nerds! Yes, we have an excellent seminar coming up in April and it's on a Sunday, April 26th from 10am to 2pm at the Comfort Inn in Penn Hills, PA.
Saturday's are busy for most and during the week, but who doesn't enjoy a good Sunday Brunch especially when you get to learn some great stuff! One of our latest discoveries is called "Animoto". It is a great FR*EE tool for video; check out Tech Diva Donna's review here. Please leave a comment on our blog to let us know what you think of Animoto. Hey, even better yet...make a video and send us the link. We would love to see how you have put this tool to work for your business. We will select two videos from the submissions to feature in our next newsletter. We hope that Animoto will help you in establishing your online presence! Tell us how you use social networking in your business. Email us a brief example (50 words or less) of how tools like Blogging, LinkedIn and others have helped you get clients, get exposure, sell products...or however it has empowered you. Don't understand it all, have a question about a particular tool? Email us your questions and will post the answers in our next e-news. Donna M. Baxter and Kirsten A. Womack, known together as the 2 Tech Divas, are dedicated to work with entrepreneurs to tech them how to dramatically improve productivity or market presence using technology. While the 2 Tech Divas are best known for their expertise in internet marketing and web design, our clients seem to love the fact that we "are able to teach technolgy to those that are technically challenged in a fun and down to earth manner!"